This is going to be a rather open and honest post, and i am questioning whether i even want to share this post or share my thoughts. I wrote this post several days ago but just haven’t really wanted to post it….. something holds me back when it comes to writing about body love/self love posts… it just feels like there are far worse problems in the world and that this is just a “silly, first world, white girl” problem…. In the past i was more open about struggles and wrote alot more body love and self love posts. It feels like body love/self love posts don’t really fit into the theme of nutrition-veganism which i have here. However, it is also part of my personal posts as well as part of a healthy lifestyle and mindset…. to be able to analyze and reflect over certain thoughts, and maybe be able to help someone in the same situation. I am not someone who spends alot of time caring about my appearance or looking in the mirror. Infact, it wasn’t until April this year, when i moved into my own place that i finally got a full length mirror after 2 years of moving and renting a room in someone elses house. Now that it is summer i have no problem walking around in shorts and a tank top. Infact, that is one of the things i long for during the winter…. to be able to walk around outside with shorts and a top! One thing i have always struggled to accept and like about myself and my appearance is my legs…. throughout all the years, it has been the one body part that has taken the longest to accept and love. Though when i took the focus away from how my legs looked and instead focused on the fact that i can run, walk, use my legs and live life i stopped caring so much about how they looked and instead was happy that they work. I have legs that function and that is the most important. However, a few days ago while looking in the mirror i realised that i have gotten a bunch of stretch marks on the back of my legs/hamstrings…. something i have never noticed before. I do know that i already have some cellulite, which is absolutely normal and i have pretty much just accepted that. Most normal, healthy female bodies have some cellulite as that is just how the female body holds fat. Last year, when i first noticed i had cellulite on the back of my legs it did bother me and i stopped wanting to wear shorts at the gym for a while. Which is so silly thinking about it. My first reaction to seeing the marks was to think…. “what, why, when?” Have my legs really grown that much…. i can’t do any real strength training with heavy weights for my legs because of my knee and hip pain, so it is alot of body weight exercises. Maybe my legs have grown and i haven’t really noticed – and if the muscle/leg grows quicker than the skin can adapt, then it can lead to stretch marks. I already have some light faded stretch marks on the inside of my legs from during recovery. That was real hard to accept back in the past. But i have had them for so many years and they are very faded so i barely notice them now anyway. Just like my tattoos they are just there and a part of me! So why am i writing this post? Well because it is my sort of self reflection and to share my thoughts. Because the crazy thing is that my first (well second) reaction was to think, “i need to stop training my legs. I should lose weight so i don’t get bigger legs.” I felt almost embarrassed thinking, should i stop wearing shorts… have people seen the stretch marks and what have they thought? It BOTHERS me so much that this was my first & second initial reaction and thoughts. Living in a diet and photoshop culture where normal things like cellulite and stretch marks are something to embarrassed about, when they infact are very normal and not a sign that you are unhealthy. My third reaction was to self analyze and reflect on my first response…. to realise that 1) why make myself feel bad about something i can’t control. 2) Why feel ashamed or embarrassed about something that is actually very normal and 3) why stop doing something i love because i think i should lose weight? Did i feel better at once? No…. but i have spent years hating my body and struggled for so many years to accept and like my legs. I am not going to let a thing like this knock me down or make me spend more time and energy disliking my body. The most important thing for me is that i have a healthy body and legs that work. The important thing is that i can use my body, use my legs… that i can workout and do something i love. I am not about to change that because society just shows us pictures of photoshopped models. And i understand that there are people who have far more cellulite, stretch marks and scars than I do, but this is just my thoughts and my body. It is not always easy to accept your body changing. And i remember when i was in eating disorder recovery and had to gain weight and realised that the gaining weight process had given me cellulite and stretch marks, despite still being underweight. That hit me HARD. But i just want to remind those of you who are in eating disorder recovery, or just anyone really, that those things are normal and not something to be ashamed of. Of course, it is easier said than done. But my best advice is to just focus on being healthy and happy. Instead of focusing on your appearance, focus on creating a healthy life and a happy life. Making choices based on happiness and health and not on appearance. Do the workouts you enjoy, not ones you hate because you want to try to lose weight. Eat nourishing food that you enjoy so that you have energy to live, think, move. But also to not spend so much time looking in the mirror. One of the worst things you can do is just stand infront of the mirror and be critical and analyze yourself… in the end you will just tear yourself apart. HOWEVER, one positive thing you can do is to say 5 (Or more) positive things about yourself and/or your appearance each morning. Either say them out loud, think them in your head, or you could write down on a post it note and put it on your mirror so you see those things each day. Also writing down what you love about yourself and your body as well as focusing on what your body can do, instead of how it looks can be very helpful with learning self love. Like mentioned, it is not always easy to learn self love. Sometimes you just need to accept your body and move on. Realise that you are more than your body – and i know i might get comments saying that, “It is easy for you to say this when you are already thin”. But hating your body takes so much energy and time. It prevents you from being truly happy as well as prevents you from living the life you really want to. 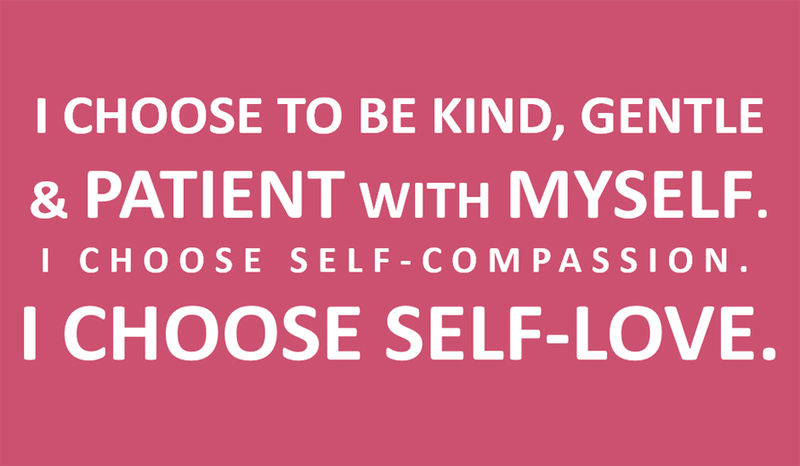 Learning self love and self acceptance makes such a difference to your life and mindset. It may take weeks or months, but at some point you will reach that stage where you can just be happy in your body and realise that health and a healthy body is the most important, not so much if you have scars or a thigh gap. I had thought i would share photos but i realised 1) i am not in the state of mind or acceptance that i want to do that and 2) it really isn’t relevant or necessary. Why am i writing this post? Well because i wanted to share my thoughts, it is also a form of self reflection for me. But also to show that sometimes your first initial reaction or response to something isn’t always the best or healthiest… but it is the self reflection and how you actually react/your response that matters. I.e i am sure we have all had a quick unconscious judgement or initial response to someone or something, but with a few seconds after thought reacted differently or had different thoughts. I hope this post helps someone else in someway! Next Post Dealing with anxiety – distractions or sitting with the anxiety? Tack Izzy! Dina inlägg är till stor hjälp på många sätt. Sitter just nu på Mando och hanterar just faktum att jag har både celluliter och bristningar. Ätstörningen skriker att den måste ta kontrollen helt och hållet igen och att jag måste gå ner i vikt. Jag kämpar jättemycket med att inte följa dess röst och att läsa det här inlägget normaliserar det faktum att “alla” har det och att det inte betyder något, det säger eg inget om mitt värd, min kropp eller vem jag är. Det går t o m att vara smal och ändå ha dem… Tack för att du delar med dig av dina tankar och reflektioner! Fortsätt med det! Jag vet hur svårt det är att gå emot rösten i huvudet som skriker på en att göra annorlunda en det som sägs på kliniken. Men du är stark som kämpar emot, även om de inte är lätt. Lyssna på din behandlare och försök ditt bästa att äta alla mål, men även att låta Mando hjälpa dig. Det är lätt att kämpa emot, men kom ihåg att det är ditt liv och du är där för att få hjälp för att ta tillbaka kontrollen. Det kan vara svårt att se kroppen förändra, men kom ihåg att de är BRA förändringar. Du kommer få en starkare kropp, en friskare kropp. En kropp som har energi och du kan lära dig älska din kropp.